New technologies are becoming more and more complex, whereas the use of them becomes simpler and easier to understand. It is applicable also to financial sector. The internet bank and mobile apps are swiftly replacing face to face transactions with bank specialists. Therefore, it is only logical that the range of financial services is expanding and goes far beyond the traditional bank borders. Nowadays it is easy to find non-bank financial services that provide secure online payments. In Latvia WestStein has been offering this opportunity for several years. WestStein is a financial services provider that allows customers to open an account and receive a payment card issued by a UK-based enterprise, which is a licensed payment institution. WestStein is a financial institution to which the same safety rules are applied as to banks, however, WestStein is not a bank. The company is registered in Latvia, its partner is an e-money institution – Prepaid Financial Services Ltd (PFS). On behalf of PFS WestStein opens a current account in Ireland and issues a prepaid Mastercard. The account is opened only together with the card: first the client orders the card, and as soon as it is activated, the account is opened. What services does WestStein provide? WestStein offers to open accounts for individuals and businesses. It is possible to link business account with a payment card. With the card one can make payments online and in shops all over the world where Mastercards are accepted, as well as make cash withdrawals at any ATM with Mastercard logo. The same ATM commission fee is applicable in entire European Economic Area – 2.50 EUR. It should be emphasized that WestStein cards are prepaid cards with an online account – WestStein does not offer credit cards. On the one hand, it limits the services of WestStein, on the other hand, it means less formalities. After the global crisis many have lost confidence in the banking sector across Europe. Due to European Union (EU) directives and regulations bank operations are not always convenient for customers. At the same time the use of cash is decreasing. Some countries, such as Sweden and Austria, have announced that they are planning to switch completely to non-cash payments in the nearest future. WestStein services are available for customers in the whole European Economic Area. The services offered are in accordance with general rules, therefore WestStein ensures full compliance with EU regulations and rules regarding the activities of financial institutions. Prepaid Financial Services (PFS) is registered in Financial Conduct Authority (FCA), which is an institution that controls banks in the United Kingdom. PFS also monitors WestStein customers’ transactions. 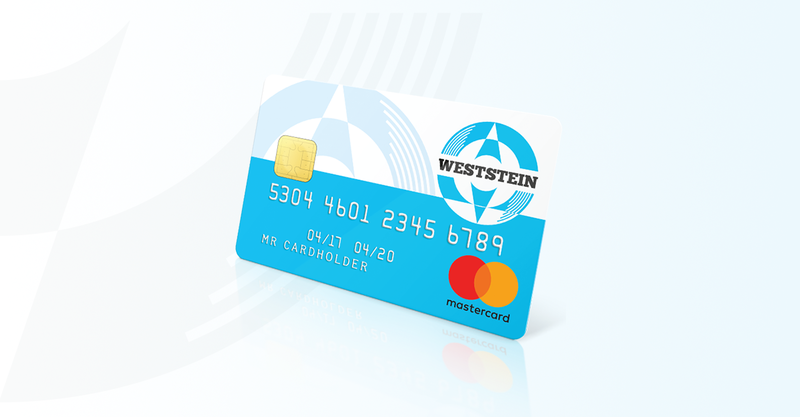 How to order your WestStein prepaid Mastercard? Some people are very responsible and cautious regarding their money and banking services. The reasons are that these services become more and more expensive, and many safety requirements make them more complicated. Advice for them would be to consider the services offered by WestStein. It is very simple to order WestStein prepaid card and make payments with it. To be honest, it is easier to try it out than to explain it. You can order WestStein prepaid Mastercard remotely on company’s homepage at www.weststeincard.com. Customers do not need to go to any branch, everything can be arranged online, for example, at home from your computer. Within 10 business days the applicant receives WestStein prepaid Mastercard in his mailbox. The card has to be activated on the homepage, after that the euro currency account is opened and ready to be used. Account opening and card cost is 0 EUR. 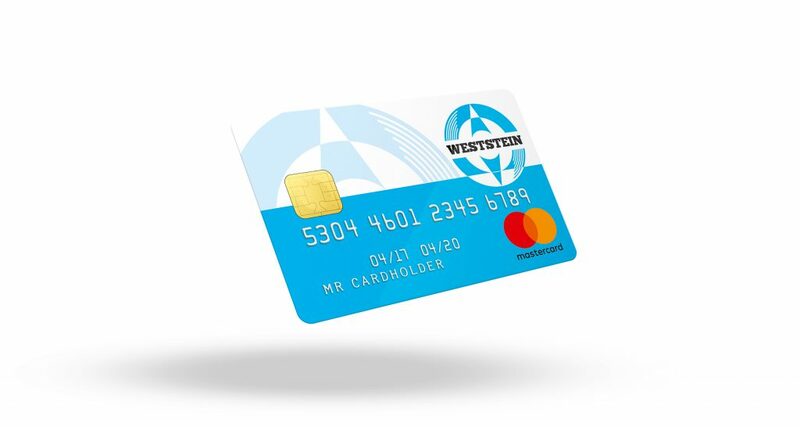 WestStein prepaid card is valid for 3 years, and a monthly fee is EUR 1.00. Once you receive a card, you must activate it, then it is recommended to verify your account. An unverified customer cannot use the card in full force: reduced limits are applied for unverified customers. Only a verified customer can have up to 35 000 EUR card account balance and load the card account indefinitely. At Narvesen sales points in Latvia you can buy vouchers that can be activated when needed. You can use them while traveling or you can top-up your child’s secondary card (there can be up to 3 secondary cards per one main card). WestStein clients can also choose not to verify their account, however, they will have smaller limits: according to new EU regulations unverified customers can spend money only in shops with total amount of EUR 250.00. Cash withdrawals are possible only once in a month with a total amount of EUR 100.00 during the whole card validity period. In short, the possibilities for unverified customers are very limited. The very simple online verification procedure automatically extends the limits of WestStein prepaid card. To enjoy all the features of the card, WestStein invites its customers to verify their cards, and many have already done that. Verified clients can receive up to 35 000 EUR per day to their account and spend up to 15 000 EUR daily, if the card balance does not exceed 35 000 EUR. Cash withdrawal limit is EUR 1500.00 per day. The system will not allow you to exceed the limits, however, by active operations, the card turnover can reach 92 000 EUR per month. WestStein is a program manager, which offers to open an account with WestStein brand in any place of the world. The main requirement is to have a physical address in Europe, but clients themselves can be from outside of EU. As the procedure is simple and remote, WestStein has customers not only from Lithuania and Estonia, but also from Sweden, Germany and other European countries. WestStein uses the benefits of digital marketing and offers its services across Europe. WestStein card operating accounts are held at Irish Allied Banks, p.l.c., registered in Ireland. This institution has over 50 years of experience and good reputation. 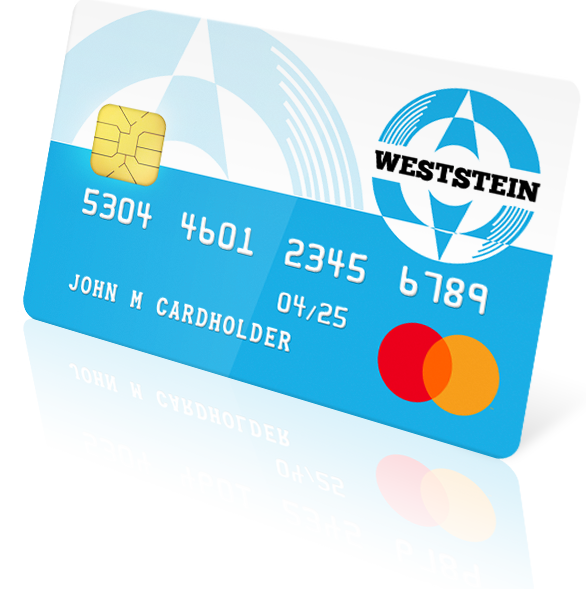 Be noted that WestStein cards are prepaid cards, and cardholders can use only the amount of funds that is available on the card. This completely eliminates the possibility to get into debts and owe any money to WestStein. The main advantage of such non-bank cards usually is security, especially for online purchases. WestStein’s leading partner, Prepaid Financial Services, provides financial services to both individuals and businesses. WestStein’s headquarters will be moved to Berlin next year to be closer to its customers and European financial centers. For customers in Latvia this will not change anything, however, WestStein, in general, is hoping to attract more customers in the EU. Some new services will be provided in 2018. In the first quarter of 2018 WestStein will offer multi-currency accounts to its customers. Currently, it is possible to open euro account, however, next year there will be a new feature which will allow to open an account in four currencies: euro, U.S. dollars, sterling pounds and Polish zloty. WestStein has researched its customers’ needs, and the currency options are related to the key locations of service users. Next year WestStein customers will have an opportunity to make international payments, which will automatically convert money into one of the 36 currencies. Virtual money transfers to WestStein account from anywhere in the world in about 50 different currencies is possible already. In 2018 WestStein mobile app will be improved, making money transfers using smartphones more convenient. A very welcome and important service will be automated WestStein account opening for small and medium-sized enterprises. Currently, this process takes some time, however, next year it will be improved, and companies will be able to submit their applications online. Every company will have its own online profile, where it will be possible to see the current status, documents, as well as to connect payment cards to the account. WestStein will start providing this service at the beginning of the next year in whole Europe. Also newly registered Latvian enterprises will have the ability to open accounts remotely, quickly and easily. The verification procedure will be in accordance with the laws in force, however, everything will be done on the Internet. If there will be any uncertainties WestStein customer support will provide you with an advice and assistance. The whole process will be much faster next year. WestStein offers friendly commission fees. 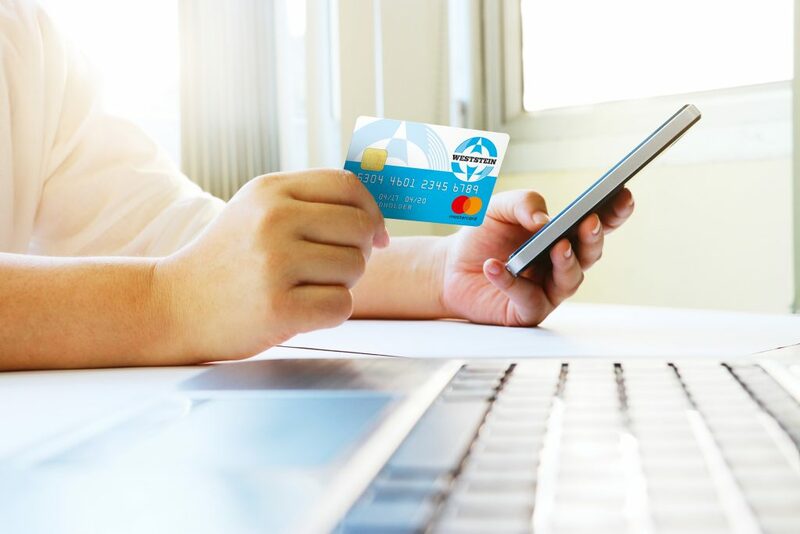 The prices offered by banks are steadily increasing, however, WestStein regularly follows up and calculates the prices of their services – card maintenance costs and transaction fees – so the services provided would be profitable for the customers. Article from magazine “Kapitāls” November 2017 issue.